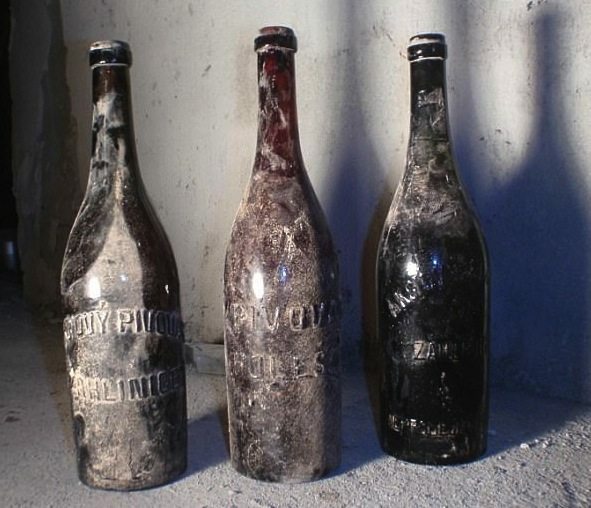 Researchers in Prague have analysed three bottles of Czech beer that were discovered in an old cellar to see the chemical changes that occur over the course of a century. Discovered during the reconstruction of the Raven Brewery in Záhlinice in 2015, the beer in the bottles is believed to have been brewed at some point during the First World War. As well as a sensory analysis conducted by the five members of the team, the beers were put through a liquid chromatography test – among others – to help determine the yeasts used, the alcoholic content, colour and total acidity. It was found that the beers were higher in alcohol than their modern counterparts and contained more iron, copper, manganese and zinc though had fewer bitter compounds. Yeast was extracted from two of the beers although only bacterial DNA (from Staphylococcus and Streptomyces) was found in one. The beer with only bacterial traces was the most disappointing of the brews sensorially, having a whiff of sulphur and “faecal matter” according to the scientists. The second beer was more promising, showing “Madeira” and “fruity off-flavours” as well as being dark and sour, more like a lambic beer than a lager. Several yeasts were present in this second beer and no bacteria. Finally, the third beer still contained traces of carbon dioxide bubbles and was the most beer-like of the three tasted. The researchers concluded: “Beer C enabled us to acquire deeper knowledge about a 100-year-old beer which, due to an undamaged sealing cork plug and most probably constant temperature in the cellar, underwent a ‘natural’ ageing process unmarred by microbial contamination, which resulted in an unspoiled sensory profile”.